Many Rural Hospitals Must Adapt Or Close, Economics Suggest : Shots - Health News Hospitals have long been linchpins of rural communities, providing jobs as well as health care. But policy analysts say some hospitals may have to change or close to better serve rural health needs. Getting health care to rural areas may involve tough decisions about the role of hospitals. Heidi Schultz grew up traveling from one end of South Dakota to the other, tagging along as her sister saw doctors and specialists in the "big cities" to treat her diabetes. But even she has been surprised by how she can drive hours on country highways seeing few cars and just "a handful of gravel driveways going somewhere you can't see." "It's almost scary," Schultz says. "You're thinking, 'If something happened to me here on this road now, how long would it take for someone to get to me? An ambulance? And where would they take me for care?' "
Now part of her job is to help organizations apply for grants to provide care in rural areas. She understands that people living in these places must come up with creative solutions to deal with their health care needs — whether it's getting help in an emergency, receiving treatment for ongoing illnesses or softening the natural consequences of old age. It's a quickly changing landscape as more rural hospitals close, and some health policy analysts say it's time communities made some hard decisions — starting with completely changing the health care structure in small towns. For example, says a recent report by the Bipartisan Policy Center, instead of making sure each rural resident can easily get to a full-service hospital, some communities should consider what kind of primary care and more specialized care they could offer at a facility instead — short of having a full-service hospital. 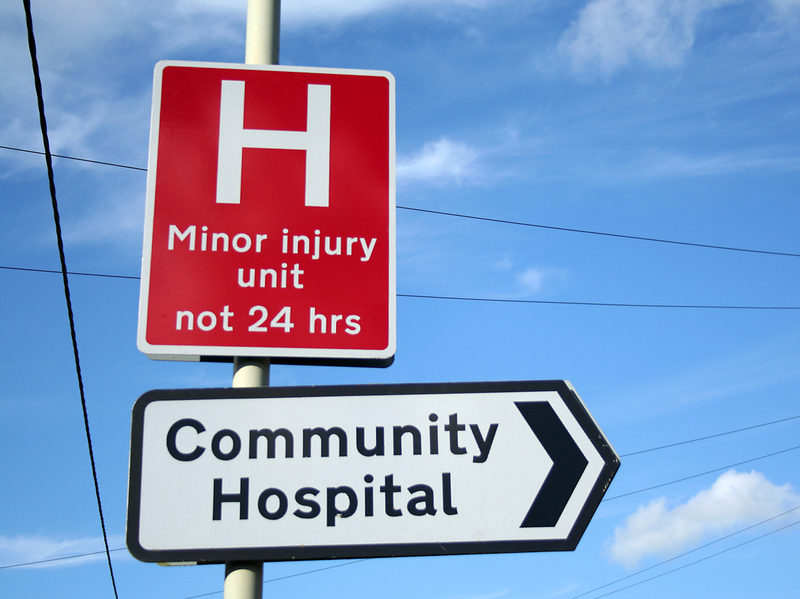 Hospitals tend to be cornerstone institutions in rural communities. They provide jobs and contribute to a town's economy. For many citizens in small-town America, losing the local hospital would threaten the livelihood of the town and its people, says Patrick Roche, chief operating officer at Faith Regional Health Services based in Norfolk, Neb. "There are two things they don't want to lose. The first one is their school, the second one is their hospital," says Roche. But there are big challenges to keeping these hospitals open. They cost money and it's difficult to find a qualified workforce. There are other concerns, including limited funding, regulatory restrictions, problems with transportation, broadband internet accessibility and the unique characteristics of the population, according to Dr. Anand Parekh, chief medical advisor with the Bipartisan Policy Center and one of the report's authors. "Rural America," Parekh says, "is a little bit older, a little bit sicker, a little bit poorer." In 2016, the Census Bureau reported that 19.3 percent of the U.S. population lived in rural areas, which cover 97 percent of the country. Up to this point, the medical needs of that group have been addressed by a system that has medical facilities, many of which do receive some federal support, including about 1,300 small hospitals known as critical access hospitals. A hospital is designated as critical access by the Centers for Medicare and Medicaid Services if has 25 beds or fewer, is more than 35 miles from another hospital and provides 24-hour emergency services. The National Rural Health Association says 673 rural hospitals are at risk to close, and 210 of those are at "extreme risk"-- 60 rural hospitals closed between 2010 and February 2016. One of the main reasons for the significant rural hospital closures is that the average number of in-patients is low, says Schultz. "Running a full hospital is very expensive — the overhead, 24/7 staffing, the facilities," she says. "Think of a 25-bed hospital, and you're only using four of your beds and how expensive that is." Residents of Tilden, Neb. — a town of less than 1,000 — know what happens when the town hospital can't make ends meet. They lost their critical access hospital in 2014 and had to find a different solution for their medical care. Roche explains that Faith Regional Health Services in Norfolk, just 22 miles away from Tilden, worked out an agreement to lease the hospital and clinic from the little town; Faith Regional then provided the medical operations—staffing, providers and equipment. "The operations are, in effect, owned by Faith Regional and are operated just like any other clinic that is owned and operated by our system," Roche says. But the facility in Tilden is no longer a full hospital. "There's been a fear in the air and you read a lot, and you hear a lot about hospitals closing," says Schultz, who travels often to rural communities. "And that's rightfully so. But if you look at the communities that are losing their hospitals, you need to look at, 'What do they still have?' "
The Bipartisan Policy Center and Helmsley Charitable Trust partnered to propose a possible solution for communities struggling to keep facilities afloat and provide quality care miles away from city and suburban hospitals and clinics. Their January 2018 report, which surveyed health care professionals in seven states in the upper Midwest, says that the whole rural health care system needs to be addressed. Each community should determine the best health care structure, the report suggests, not the other way around. And that difficult analysis may lead to closing a small town hospital. Darrold Bertsch, chief executive officer of Sakakawea Medical Center in Hazen, N.D., says he agrees with the idea of catering health care facilities to the population — whether it's with an outpatient clinic, urgent care center, a hospital or something else. "If communities had a little bit more flexibility," he says, "then they could adapt a health care delivery system in their area that is more relevant to the needs that they have, rather than trying to make a hospital fit in a community where it might not be able to be supported anymore." The critical access hospital in Cody, Wyo., has stayed open — partially because of this idea of flexibility, says Jeanine Brus, who works as the laboratory director for the hospital. Cody sits outside the eastern edge of Yellowstone National Park and is a town of about 10,000 people. Cody Regional Health, which includes the hospital and other health care facilities, such as a surgical center, a cancer center and a dialysis center, serves the town and the farms and ranches in a 200-mile radius, as well as tourists from the park. Brus says that the key to adapting has been collaboration between the different facilities. And that's been good for the health care workers, as well as the community, she says. Bertsch from the North Dakota hospital says federal regulations and the way hospitals are reimbursed mean there's no one-size-fits-all fix for every community. Still, Parekh underscores his hope for the possibilities that can come when communities are open to new kinds of solutions. "You know, you don't have to close your hospital," he says. "You can transform the hospital to meet your community needs, improve health and still continue to improve your local economy. Rural America can thrive as health care transforms."